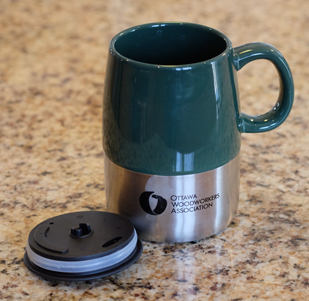 What is the OWA Mandate? The exchange of related information for the purpose of skills advancement and woodworking enjoyment. To promote woodworking as a hobby, as a profession, or anything inbetween. What is the principal activity of the OWA? The OWA meets monthly from September until June. It is a gathering of amateur and professional woodworkers from the Ottawa Valley and surrounding area. 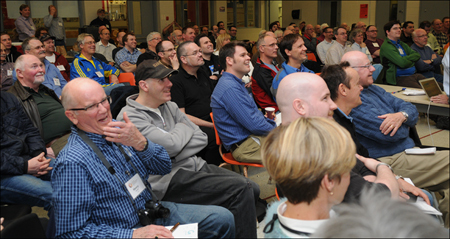 Normally each meeting has a theme - one main topic which is presented and discussed in an open-forum atmosphere. It's a great opportunity to meet fellow woodworkers, share ideas, seek advice, and get out of the sawdust once in a while! Over the last couple of years we have been expanding into events that include members and non members. 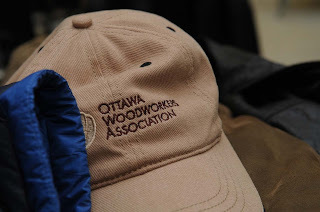 What kind of woodworking does the OWA include? 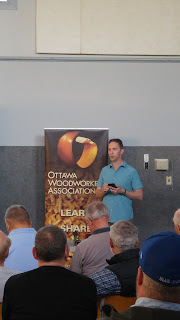 The OWA focus is on woodworking in general. We discuss everything from seasonal wood movement and finishing techniques to table-saw tuning and shop safety. The membership consists of a mixture of hand-tool and power-tool enthusiasts, and those inbetween. Our members are professionals and amateurs, and beginners, intermediate, and accomplished woodworkers. Can anyone join the OWA? New members are always welcome! The membership fee is $50.00 per year ($25.00 for full-time students with a valid student card). Visitors can attend two meetings before making a decision to join or not. Information about the next meeting is posted in the side-bar that appears by clicking the three short lines at the top left of the home page. What is the OWA structure? We do have merch although we don't shill it at the meetings. Caps might be in short supply, but there are T-shirts (medium and up) and mugs, each at $15. Caps are half-off unless we get some in, in which case they will also be priced at $15. Speak discretely to one of the officers of the executive to arrange a purchase. How can I contact the OWA? 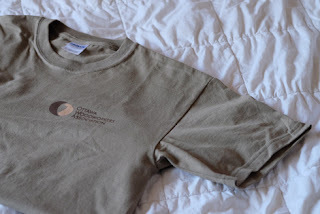 Can you say a little about the early history of the OWA? From there we started meeting at the Bells-Corners Public Library - October 3rd I think? Contributors to the first OWA Constitution and Bylaws: John Blore, Gump, Norman, Paul Mahood, Donna H, Bob Demers and Chris V.
First meeting at Trend Arlington Centre – Wednesday, December 8th, Theme was “sharpening”. Jack, Norman and Kevin initiated the “Spirit of the OWA Award” in Danny’s memory (February 2005). First Recipient of “The Danny Proulx Memorial Award” - Bob Demers – Wednesday, January 11th, 2006, presented by Gale Proulx.